What Do the Awards Recognize? Who Served on the 2018-19 Committee? Letitia (Tish) Lowe ’69 earned a B.A. in music, and then went on to earn her M.A. and Ph.D. in anthropology from the University of Tennessee, Knoxville, an M.B.A. from the Yale School of Organization and Management, and a certificate from the Angel Academy of Art in Florence, Italy. Lowe spent her early career as an IT specialist and musician, her middle career as an anthropologist and environmental specialist, and has since become an accomplished artist. The stages of her career represent high-quality work in every instance and reflect a breadth of career possibilities grounded in a strong liberal arts education. She was the first female employee at IBM in Atlanta’s regional office to be a computer operator-programmer (from 1969 to 1972). Lowe then moved on to work at the University of Tennessee as a computer programmer and systems analyst. Lowe completed graduate work in anthropology at the University of Tennessee, earning both a master’s and a doctorate, and began working in the Tennessee Valley Authority’s natural and social resources management department, beginning as an anthropologist and systems analyst in 1978, moving up to strategic planner in 1980, and then to project management. Determined to integrate her interests in sustainability and private-sector and international development, in 1987 she enrolled in an innovative graduate program at Yale, earning her M.B.A. in 1989. Lowe served as an independent consultant in Washington, DC before undertaking the next phase of her career. Working at the International Finance Corporation (the private-sector arm of the World Bank Group) in the areas of environment and sustainability within international banking, Lowe advanced rapidly from short-term consultant to long-term consultant to environmental specialist to senior environmental specialist to successive promotions in management during her ten years there. She was the first woman hired at each level. The next phase of Lowe’s career represents a total change of emphasis from her previous work. She moved to Florence, Italy, to attend the Angel Academy of Art, an institute focused on teaching painting in the manner of the Old Masters. She completed the program in five years to become a professional artist, achieving acclaim for her portrait painting while still a student. Lowe has shown her work in London, Florence and the United States, and has won local, state and international awards. Lowe’s work is exhibited in museum and private collections around the world. Linda Marks ’67 grew up in Memphis, Tennessee, and is a graduate of Hutchison School. 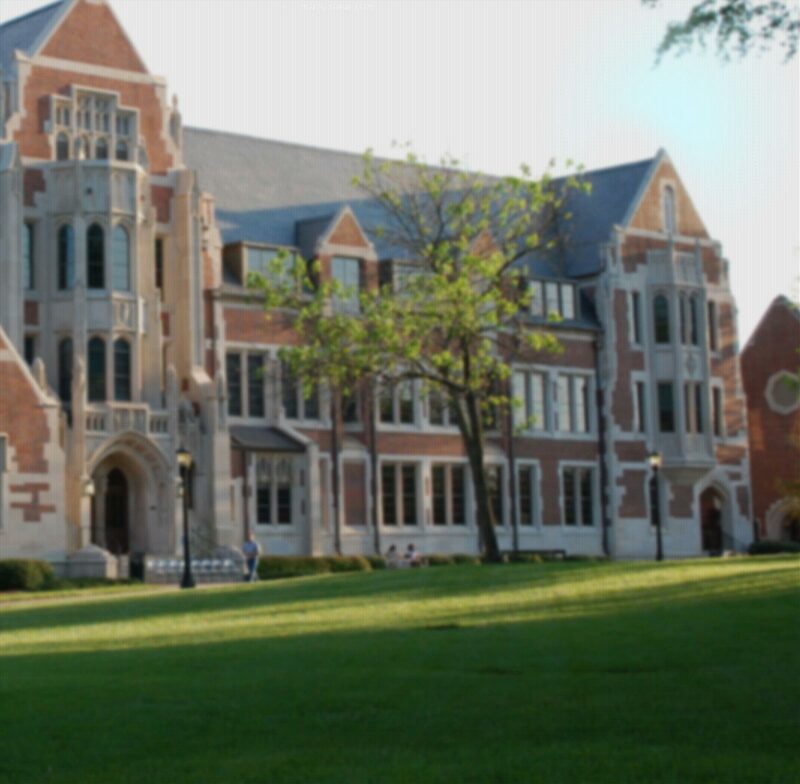 At Agnes Scott, she majored in English, accompanied the Glee Club and was active in student government. After graduation in 1967, Marks earned her M.A. in English at the University of Wisconsin-Madison and taught both high school and college English. In 1986, she received her J.D. from the Cecil C. Humphreys School of Law at the University of Memphis, which led to her becoming a patient rights advocate and conflict resolution specialist during her many years in Portland, Maine. Marks was a class co-fund chair for 10 years, from 1997–2007, during which time she helped plan several class of ’67 mini-reunions in Boston, MA; New Orleans, LA; Charleston, SC; and Panama City, FL. She has planned and led numerous alumnae events in the Memphis area, including Scotties Give Back service projects. Marks is currently serving on the Alumnae Board through which she shares her passion for current students and the rich diversity on campus. Of distinction, Marks has been keeping Scottie spirits high for more than 20 years by accompanying Hub Sings on the piano. She says that making the annual (and sometimes twice-annual) trips to the college to lead students and alumnae in the revered songs is an important and rejuvenating part of her life and loves that it helps to ensure the traditions of generations of Scotties remain strong. April Hathcock ’04 earned her B.A. in psychology and French, her master’s of law in international and comparative law and her J.D. in 2007 from Duke University School of Law, and her master’s of library and information science from the University of South Florida, Tampa, in 2013. She is the scholarly communication librarian at New York University, where she provides education and outreach and develops policy for its large, global research community on issues relating to ownership, rights and access in the scholarly communication life cycle. A prolific blogger, researcher and in-demand speaker, Hathcock’s professional scope is interdisciplinary and far-reaching. Hathcock’s professional contributions and approaches to academic librarianship answer the dual exhortation of Agnes Scott’s mission: She engages with both the intellectual and social challenges of our times. She is an activist librarian who advocates for researchers and educates them to empower themselves. Hathcock is also one of the foremost voices for social justice in libraries. Her work to combat racism and dismantle white supremacy has been widely praised within the library community. As a leader, Hathcock plays important roles in many library professional organizations. She is Councilor at Large of the American Library Association, co-chair of the NYU Libraries Diversity and Inclusion Working Group, and a 2018 Library Journal Mover and Shaker, an award recognizing outstanding and inspiring work in the library profession. Hathcock’s work falls at the important intersection of scholarship and activism: Her effort and labor on behalf of her fellow librarians in terms of identifying direct action opportunities and helping push the profession to address its shortcomings are invaluable. Hathcock also has numerous publications to her name. Gay Blackburn Maloney ’76 earned her B.A. in English and art and her J.D. from Vanderbilt University in 1979. She has been active with Rotary International for more than 22 years, serving as a charter member, as president of her Rotary club, as an assistant governor and as a speaker at international meetings. Maloney embodies the mission of Rotary International: to provide service to others, promote integrity, and advance world understanding, goodwill and peace through the fellowship of business, professional and community leaders. In addition to her individual activities through Rotary, she will be serving alongside her husband as he serves as the Rotary International President for 2019-2020. Since Maloney’s high school years, she has consistently made an impact on every community with which she has been connected. At Decatur (Alabama) High School, she formed a Girls Service Club that allowed the members to serve the community as a racially integrated group. At Agnes Scott, she was class president and spearheaded Junior Jaunt, a service weekend that connected the college with the community. At Vanderbilt University School of Law, Maloney worked her way up in the offices of the student government association—the Vanderbilt Bar Association—serving as the first female president in her third year. In addition, Maloney remains actively engaged in the practice of law and served as the first female president of the Morgan County Bar Association. Upon her return to her hometown of Decatur, Alabama, Maloney volunteered at many service organizations, including the Girl Scouts, Odyssey of the Mind and Junior League. She regularly traveled to Agnes Scott as reunion chair, centennial campaign regional chair, Alumnae Association president and trustee of the college. Maloney has mentored many through Agnes Scott, including Yoko Naya ’96 from Nagoya, Japan; Sasha Mandic Wagner ’97 from Sarajevo, Yugoslavia; and Cheryl Reid ’95 from Decatur, AL, among others. Maloney’s mentorship extends to the almost 150 students from Harvard University who have traveled since 2002 to Decatur to perform community service. This program is the longest-running alternative spring break program at Harvard, for which many students compete for a coveted spot. The program encourages students to expand their community service upon their return to Harvard and to make their life choices based on their exposure to a community in which “paying your civic rent” (as Maloney’s father, J. Gilmer Blackburn, called it) is expected, no matter how busy each person may be with their profession or their family. Each year, the Agnes Scott Alumnae Association recognizes outstanding alumnae in four categories. Distinguished Career – Recognizes an alumna who has achieved excellence in her chosen profession. Service to the Community – Recognizes an alumna who has displayed outstanding service to the community, locally or globally. The alumna must not have received payment for her service. Outstanding Young Alumna – Recognizes an alumna who is under the age of 40, and who has been out of college 20 or fewer years, for early competence in her chosen field or area of service and exceptional promise for the future. All nominations must be made electronically using the nomination form, and include a brief bio or resume; the nominator's letter (maximum of two pages in length); at least two, but no more than six, letters for recommendation (each one a maximum of one page in length); and supporting documents, not to exceed ten pages. NOMINATIONS MUST BE RECEIVED ELECTRONICALLY BY OCTOBER 1. Awards are presented and recipients recognized during Alumnae Weekend. All nominations must be made electronically using this nominations form (make that the link to the google form) and include a brief bio or resume; the nominator's letter (maximum of two pages in length); at least two, but no more than six, letters for recommendation (each one a maximum of one page in length); and supporting documents, not to exceed ten pages. Nominations are accepted throughout the year by the Office of Alumnae Relations. Any alumna may be nominated for an award, regardless of class year (i.e., the alumna does not have to be in a reunion year to be nominated or to win). Nominations in any given year that are not selected are held for consideration for two additional years. After that point, nominations must be updated and resubmitted by a nominator to be considered. First, the committee chair is appointed by the Alumnae Association president. The committee is comprised of up to three Alumnae Board members and at least one past award winner not currently serving on the board. The committee meets for a full day in which they collectively review each submission in each category and determine the awardees. Electronically submitted nominations are provided to committee members a minimum of one week in advance of the meeting, so that nominations can be thoughtfully considered and debated during the in-person committee meeting. Nominations submitted prior to the creation of the electronic submission process are reviewed during the meeting, prior to committee discussion of each nominee. Selections are made based upon the depth and breadth of the nominee’s fulfillment of the award criteria, as demonstrated by the information provided in the nomination packet. If you have any further questions, please contact the Alumnae Relations Office at alumnae@agnesscott.edu or 404.471.6323.